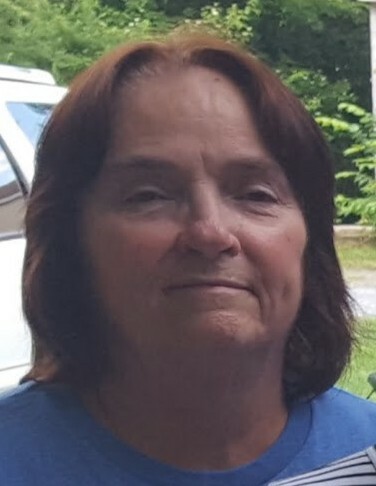 Phyllis G. (Greenleaf) Johnson, 68, of Rehoboth, died peacefully at home surrounded by her loving family on Monday August 20, 2018. She was the loving wife of Robert E. Johnson. Born in Cambridge, MA, she was the daughter of the late Leonard M. Greenleaf & Ruth A. (Barrett) Greenleaf. Mrs. Johnson was a member of the Rehoboth Congregational Church and former member of Winthrop Street Baptist Church & North Rehoboth Methodist Church. She was an avid Boston Red Sox Fan, enjoyed square dancing, and traveling to Arizona and Hawaii with her husband. In addition to her husband, she leaves her loving children: Melissa G. Johnson, Robert E. Johnson, II & his wife Bonnie, & Mark D.B. Johnson & his wife Mallissa, all of Rehoboth. Cherished grandmother of Taylor, Brieanne, Julia, Devin, & Preston Johnson, all of Rehoboth. She was the sister of Robert Greenleaf of Taunton, Leonard Greenleaf of Attleboro & the late David Greenleaf. She also leaves many nieces & nephews. Her graveside service will be held Wednesday, August 29, 2018 at 11:00 am in Stevens Corner Cemetery, Route 118, Rehoboth. Relatives & friends are invited & may call on Tuesday from 4:00-8:00 pm at J.H. WILLIAMS & CO. FUNERAL HOME, 210 Taunton Avenue, Route 44, East Providence. A Celebration of Phyllis’ life will be held on Saturday, September 8that 2:00 pm in The Rehoboth Congregational Church, 139 Bay State Road. Kindly omit flowers. Gifts in her memory to Dana-Farber Cancer Institute, P.O. Box 849168, Boston, MA 02284 will be appreciated.